In this post I’m bringing the outdoors in with this beautiful planter from Wayfair.co.uk! Long time no see (read?) guys – sorry I’ve been a little MIA lately! I’m hoping to get back into the blogging swing of things from now on, with lots of new content! 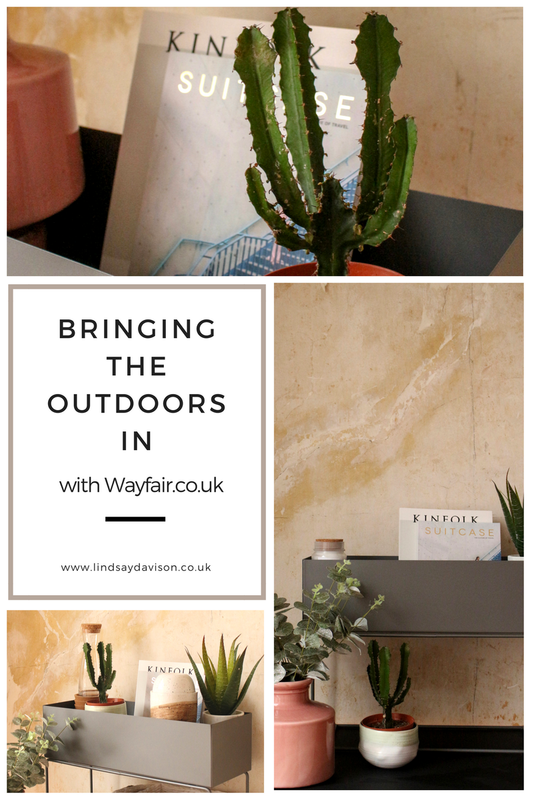 So happy to be making my return with a sponsored post in collaboration with my faves at Wayfair.co.uk! This site is my first port-of-call when I’m looking for furniture and décor – they have something for everyone! When it comes to interiors, multipurpose and multiuse pieces are my fave! I love to chop and change the layout in our home quite regularly, so I’m always on the look-out for décor that can accommodate my urge to switch things up! 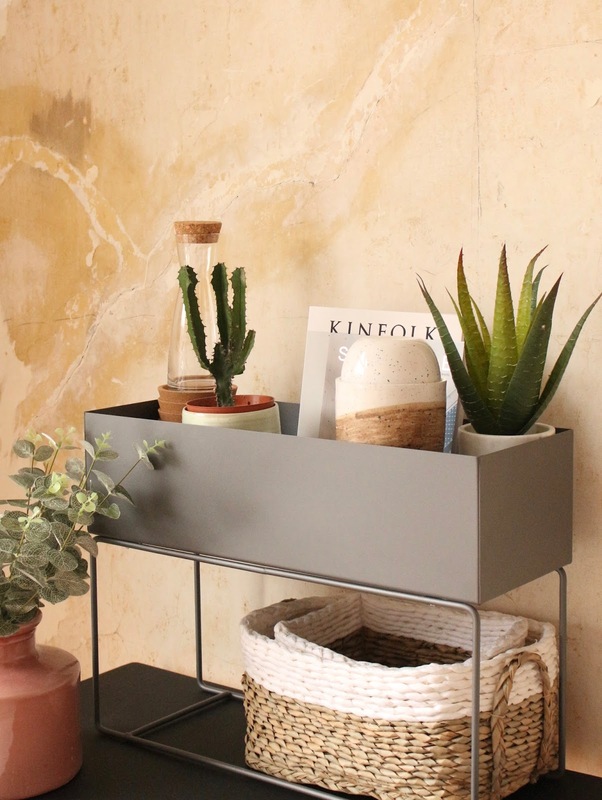 I also can never get enough of stylish storage, so when I was recently asked by Wayfair to choose a planter from their site to change up and DIY to repurpose, I immediately made a b-line for something minimal, stylish and scandi! 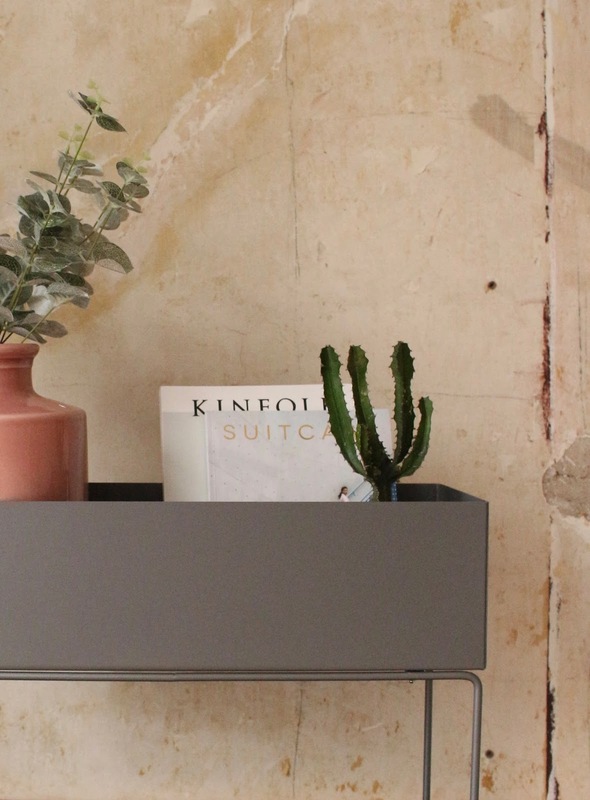 After a little scrolling, I found this gorgeous deep grey metal planter from dCor design (one of many of my fave brands on Wayfair)! It’s labelled as ‘outdoor only’ but you know me, always rebelling! (paaha) However, this does reassure me that this is a robust and sturdy design and material, which can only be a good thing, right? I knew the style, size & colour would be absolutely perfect for my new office/dressing room décor, so I snapped it up quick sharp! There were, however, sooooo many others that I loved, so give the Wayfair planter selection here! Although I would absolutely love this planter to spruse up our backyard, I am definitely happier that i decided on bringing the outdoors in for some stylish storage and to display some of my favourite things in my office! As you can see from the photos (that I’m pretty happy with, if I do say so myself!) I’m currently using the planter as a focal point on my desk, to neatly bring together some of my favourite trinkets in the room, along with some greenery! It gives me serious HAY vibes, but at a fraction of the cost! The solid grey and clean lines provide the perfect break from the more natural tones and textures in the room, and perfectly pull together lots of different pieces that would otherwise be scattered around. I’m actually planning on getting my hands on another, in perhaps a different colour and size, to store my skincare – I love the design that much! When the weather decides it’s done being utterly miserable so that I can use the spray can, I’m toying with the idea of adding some metallic touches to perhaps the base, or parts on the planter itself, just to add a little more detail – although it’s still great as it is! It would also look great with the base/leg being wrapped with narrow twine, to fully contrast with the simple, squared planter top – the possibilities are just endless! I’d love to hear from you guys – what do you think of the planter and the styling? Do you love bringing the outdoors in by multi-using pieces originally intended for outdoor use? Are you a Scandi lover, just like me? Let me know in the comments section below!